This could be the first plastic fish in outer space. First it was espresso, and now soy sauce is making space travel news. Being in space dulls your sense of taste—which honestly makes us question whether, hypothetically, we would want to go—so astronauts crave big flavors. Ramen maker Nissin obliged more than a decade ago by creating a soy-flavored space noodle dish. Now Little Soya is helping rocket men and women get a salty umami fix with single servings of gluten-free soy sauce suited for zero gravity applications. After an astronaut complained that whenever he opened a soy sauce packet it would explode, NASA scientists began looking for solutions to the problem. We don’t know where food spewing everywhere ranks as a problem for space travel, but it seems like it should be high. 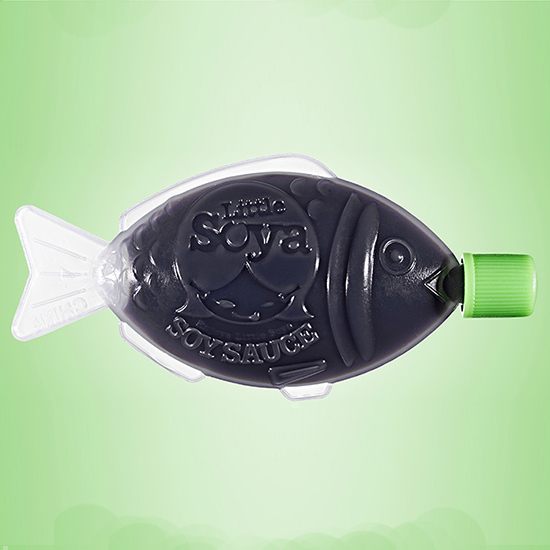 Little Soya’s response is a school of small plastic fish that release liquid only when pressure is applied. The sauce will take off to the International Space Station from the French Guiana Space Center on July 29. Now astronauts may finally be able to properly season their hand-rolled sushi.